Karam Natour's solo show "Repeat After Me," on view now at the Umm el-Fahem Gallery, is a sort of birthday song for a newly-born magician. Bar Yerushalmi has viewed the show, and he brings back thoughts on the difference between trickery and true magic. The Magician, or Magus, is the first card in most traditional tarot packs. He has many faces and even more names. 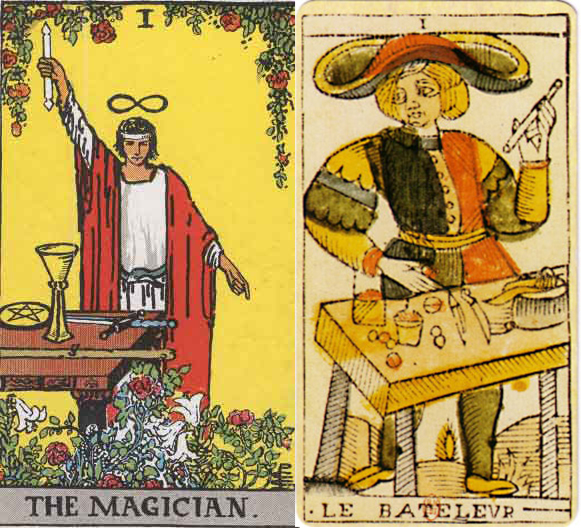 His character has already appeared in early sets from the 15th century, where he was known as the charlatan (le Bateleur in French), the purveyor of illusions, the trickster, or the conjurer (il bagatto or il bagattelo in Italian). He stands behind a simple wooden table bearing the tools of his craft: balls and upside-down goblets, knives and coins – minor lies made of deception and sleight-of-hand. In the Milanese dialect, the word bagattelo can also be interpreted as 'cobbler'1, transforming the goblet tricks into the tools of the shoemaking trade, and the conjurer becomes a craftsman. Only in later eras, with the rise of the spiritualist movements of the 20th century, did the master of illusions change shape and became not a charlatan or a craftsman but a magus seeking knowledge or superior powers. The implements of deception were transformed into sacred objects of power, and the charlatan took off his tattered robe and assumed the ceremonial garment of the priest of magic. He who started his life with tricks, deceit, and duplicity, had turned over time into a master of reality, allied to the mysterious nature of existence. He connects the higher and the nether worlds: pointing with one hand down to the material world, and with his other to the heavens and other incorporeal realms. Indeed, magic is deceptive, just like its shape-shifting practitioners. 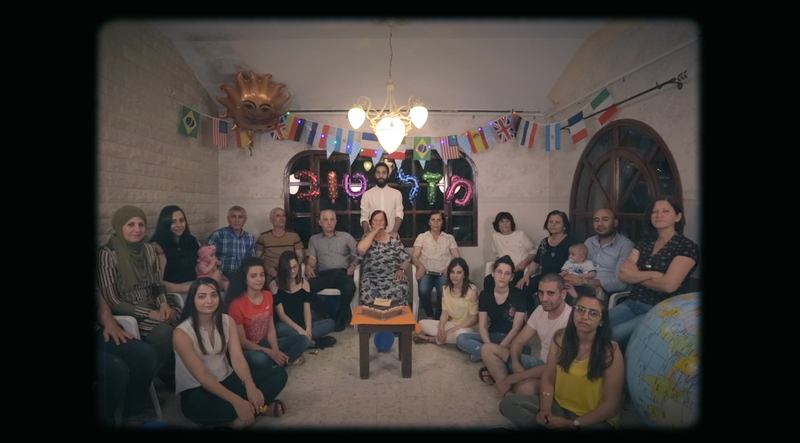 And that is also the strange case of the artist Karam Natour, whose solo show "Repeat After Me" at the Umm el-Fahem Gallery is a sort of birthday song for the newly born magician, who has emerged from the pit of street pranksters. In the opening scene of the central film in the show, the artist stands in a large living room decorated with flags and balloons, surrounded by family members who have gathered together. "This film has no subtitles," he announces in three languages, to hand-clapping in the background. "Dear viewer, mabrouk (bless you), you are still alive." The announcement regarding the skipping of subtitles, at the beginning of this video, is the artist's conscious choice to give up his training wheels: the ability to be translated and comprehended by the viewer, to relinquish his power as creator and manipulator of the word. This film will have no cheap tricks, he proclaims, and reminds us that we are still alive; the image can exist without being mediated by language. On the magician-artist table the words are not only signifiers – they are guides, holding meaning and power. He asks us, his family members, the place where he lives, to "repeat after him," to be the guides on the new trail he trads. In another scene, Natour positions himself with all the men in his extended family behind him. He asks them to repeat after him: "I am a man," "I'm here," "I'm an animal," "I'm a number." Like school children, they all giggle and repeat after him gleefully. Another scene, a sort of mirror image, shows the women of the family against a black background, each holding a plate in her hands. One by one they break the plates and say: the evil is broken (انكسر الشر, inkasar elshar). Like in an exorcism, or a rite to cast out the evil eye, the tribe's mothers break their invisible bonds, either be personal or collective. The camera stands witness, documenting the event. Do these acts remain within the boundaries of the symbolic gesture, or do they exceed it and become something with a different meaning, which does not require the mediating labels of the art world or language? Is Natour an illusionist, a prankster, or a magician? To answer these questions we might need to make some underlying assumptions about the definition of magic. Broadly, "magic" has two separate definitions. The first is the world of illusions, sleight-of-hand, and mechanical effects designed to fool the spectators and make them doubt what they see. The second definition comes from the field of anthropology and the study of religions (and might sometimes be referred to as Magick). It seeks to define a system of beliefs and social practices that do not fall under the jurisdiction of religion or science. Marcel Mauss, a 20th-century anthropologist and sociologist, attempted to create some postulations about the idea of magic in his General Theory of Magic. According to him, magic (in the anthropological sense) is a social act that channels collective social forces created through a system of shared beliefs. Mauss regards the idea of magic as a phenomenon common to every society, urban or tribal, that runs through the community like a thread of common faith, preserved over generations.3 The magician, according to Mauss, operates with forces and signifiers such as law, custom, language, and aesthetics, translating them through ritual into practical actions that carry meaning for the community: healing, predicting the future, removing curses, etc. Back to Natour's work of magic: it seems that he fulfils those postulations. 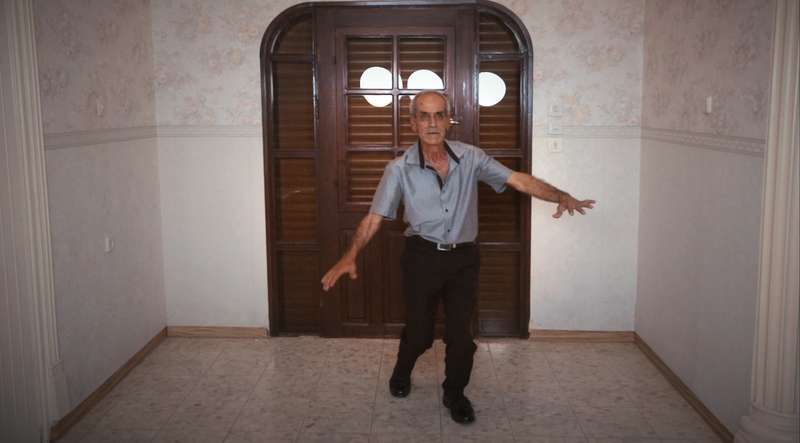 As I have shown, Natour addresses his family members - men and women, young and old - and performs acts of connection and communication among them as they jointly face the camera. 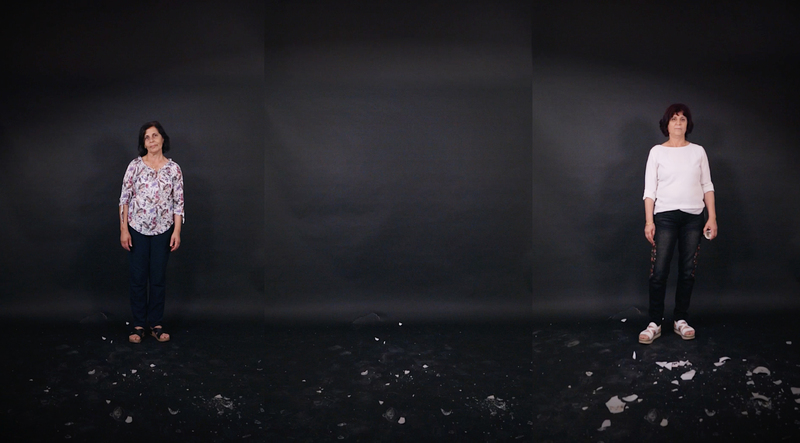 Whether breaking plates or giving an Arabic lesson, he uses the social signifiers of language and image to create a healing ceremony through the familial body he belongs to, a complex, multi-layered constellation within which he produces acts of destruction, correction, learning, and mending. As an enthusiast of the history of video, Natour quotes famous works from the early stages of video art, the Golden Age of artists such as Bruce Nauman, John Baldsessari, Joseph Kosuth, and Chris Burden, when the home video camera provided a new, virginal space for discovering the medium and breaching its boundaries. 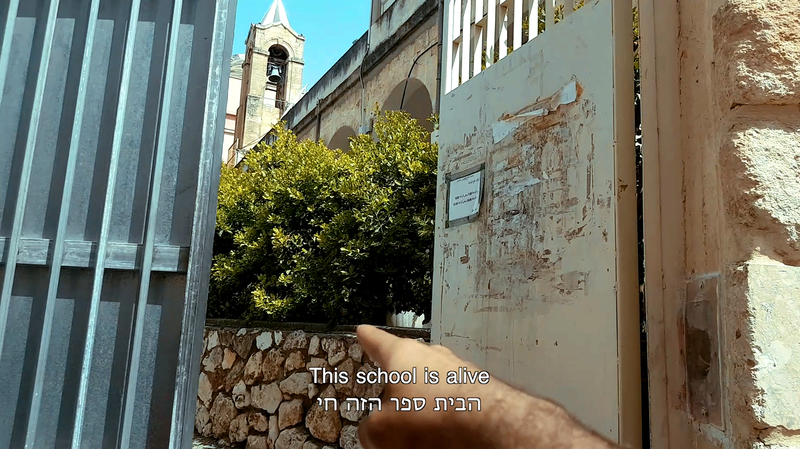 Natour revisits those iconic works like a believer going back to commune with his ancestors. He connects to the genealogy of video and marks the pioneers and the founding fathers who allow him to perform the rituals. Turning to the familial body also includes the family tree that the performer sees himself as being a part of. 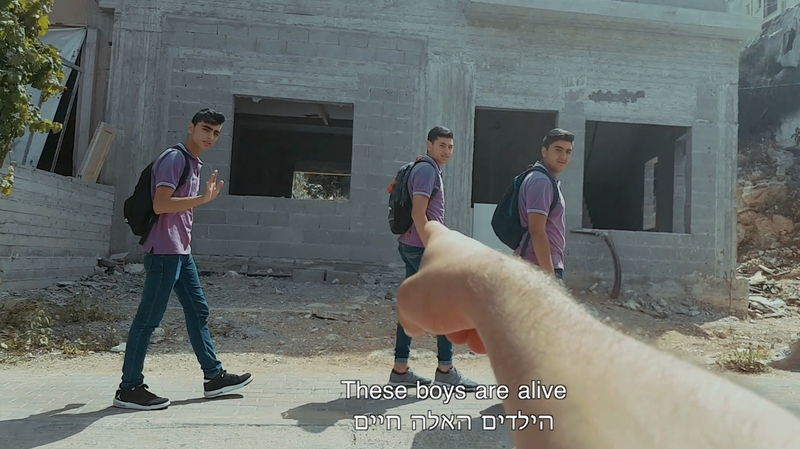 In another work in the show "Alive," from 2018, Natour is shooting the video from a car moving through the streets of Shefa-ʻAmr, his hometown. He extends his arm through the window and points at people, objects, and places. "This house is alive," "these birds are alive," "these people are alive," he repeats in various iterations about everything that his finger indicates. Everything is alive, he reminds us, pointing in a simple, pathetic gesture. There is no hierarchy in his pointing at humans, animals, objects, and places, except the recognition of life's all-encompassing energy. Whether it concerns the physical familial body, or the collective body of the art world - the act of actualization of life is at the basis of Natour's actions, allowing him to engender trust between himself, the actors who participate in his films and the viewers. Here, the magician cannot act alone; he depends on the community's faith in him (in this case, his family) and in his actions to succeed in giving force to his magic. The artist, his uncle, and his cousins act in the film's most important scene. It is a long shot, run by the uncle alone, unsually for Natour. In a small, narrow room, the uncle whispers to each of the participants what their roles in the scene are, and positions them, as if in a play. Natour is placed in the center of the room as the Sun; his male cousin is Earth and the female cousin is the Moon, and both revolve around the Sun. They all play their parts in the solar system in an awkward, earnest dance, whirling through the tiny space as the uncle moves among them making mysterious directing motions and ordering them in the room according to some unknown inner logic. At a certain point in the scene, things change. The Sun leaves its spot in the center of the universe, and the other heavenly bodies move around without any order, leaving the magician-uncle alone in the room, where he continues to look at the camera and make his opaque motions. There is Something hypnotizing about the theatricality of this one-take scene, leaving the viewer no clues to fully understand it. The logic is clear to the participants only. Magic, Mauss says, "is any rite that is not part of an organized cult: a rite that is private, secret, mysterious, and ultimately tending towards one that is forbidden. "4 Thus Mauss marks the magician as a non-participant in the organized, hierarchical culture of religion. Its origins are in the margins of society, its power in the line separating illusion from reality. Like Natour's magician uncle, who disturbs the forces of the universe and their order, so does the artist play his role in the quiet revolution of the family/gender order, playing language and identity games like a professional prankster. The history of magic is illusive by its very nature, as is the nature of the magician (which also happens to be that of the artist). The line separating illusions from a real reflection is blurry, as we might wish. Like in any good magic show, illusions are not just quick hand-tricks or disappearing rabbits. The truth, if it exists, is experienced between one number and the next, visible only to the perceptive few. 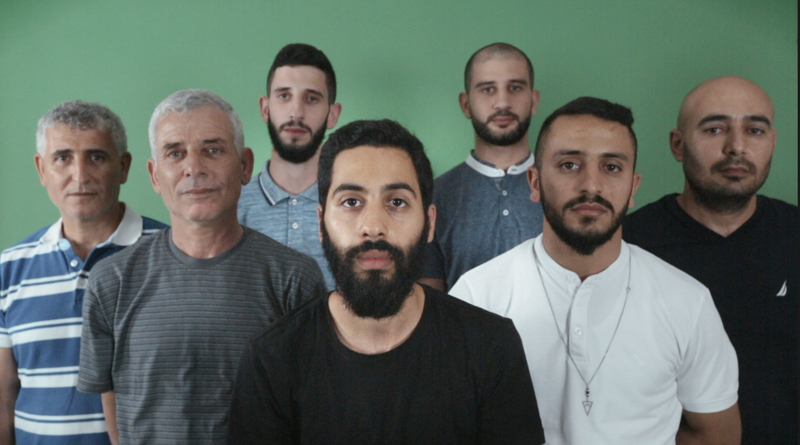 Karam Natour's show "Repeat After Me" (curator: Irena Gordon) was on view at the Umm el-Fahem Art Gallery through September 27, 2018. 1. Bill Butler, Dictionary of the Tarot. (Schocken, 1975; ISBN 0-8052-0559-4). 2. In many shamanic traditions everything and every person has its "true name" which expresses its true essence. Knowing that name gives a person control over the named. 3. Mauss, M., 2001. General Theory of Magic. Taylor & Francis, Inc.